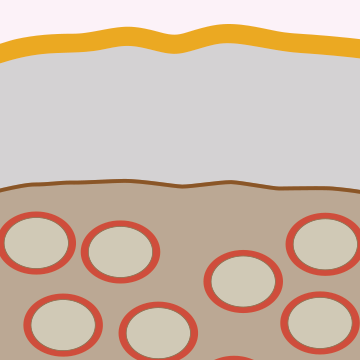 Can A Pill Really Diminish Wrinkles? 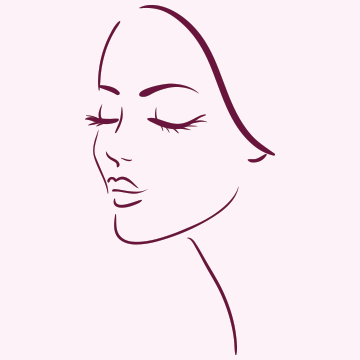 What if you could improve your skin from within? 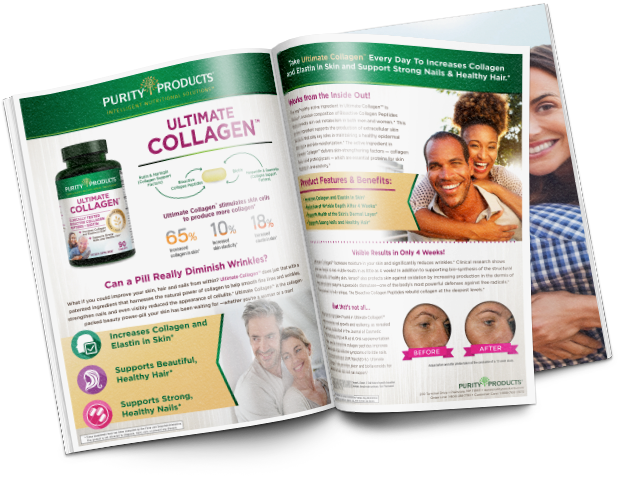 Ultimate Collagen™ does just that with a patented ingredient that harnesses natural power of collagen to help smooth fine lines and wrinkles, strengthen nails and even visibly reduced the appearance of cellulite. 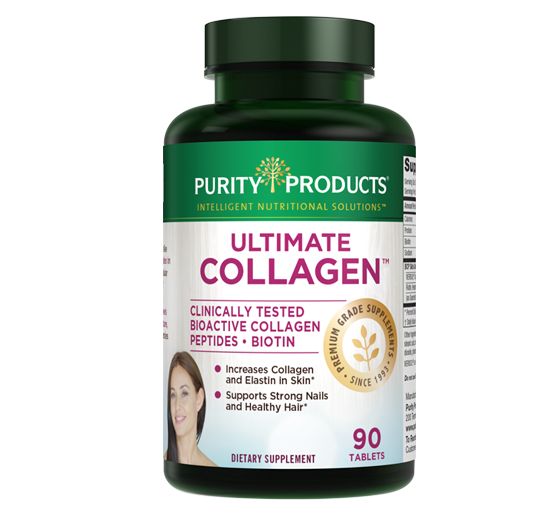 * Ultimate Collagen™ is the collagen-packed beauty power-pill your skin has been waiting for. 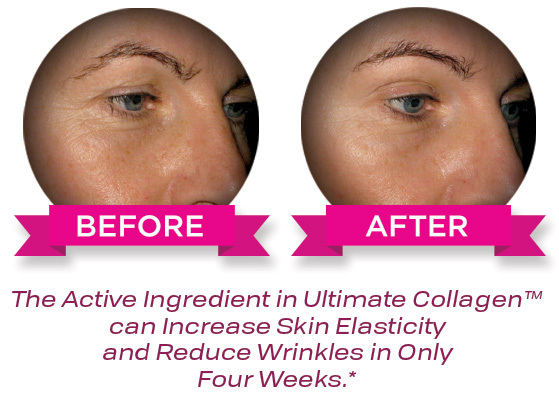 Ultimate Collagen™ Works From The Inside Out! Fight Cellulite: It’s Not Magic, It’s Science! 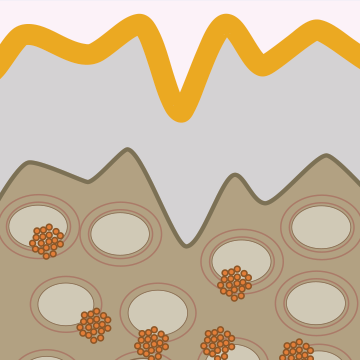 If you’re one of the 85% of women worldwide affected by cellulite, get excited! 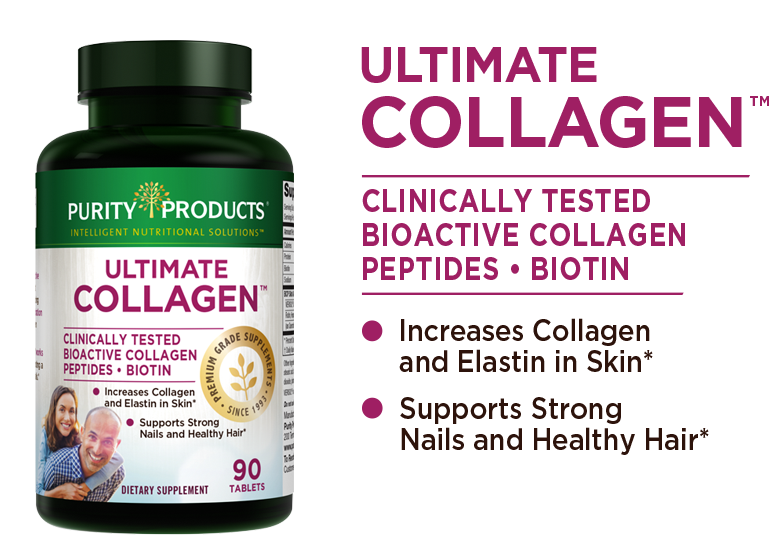 Ultimate Collagen™ delivers a clinically tested compound that was shown to noticeably diminish the appearance of cellulite in normal healthy women. * In a study of over 100 women between the ages of 24 and 55 years, the results were significant. When taken every day over a period of 3 to 6 months, Ultimate Collagen™ restored the normal structure of the skin resulting in less waviness and dimpling - meaning visibly less cellulite. Impressive results were even achieved at the halfway point in the study with a significant decrease in the appearance of cellulite continuing for the next 3 months. 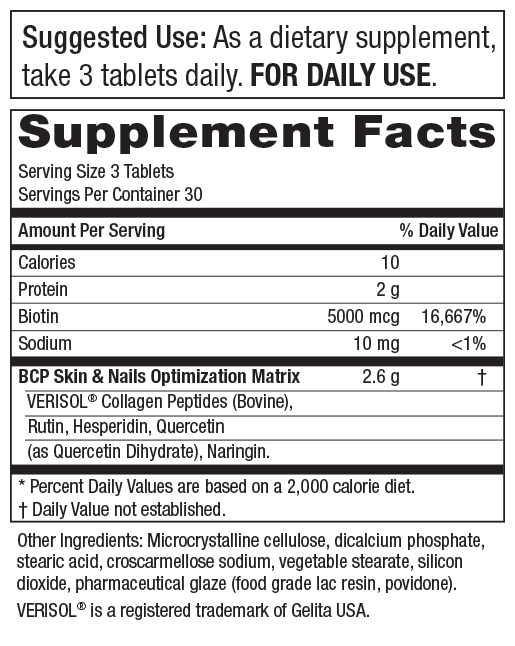 Take 3 tablets of Ultimate Collagen™ daily. Visible Results in Only 4 Weeks!